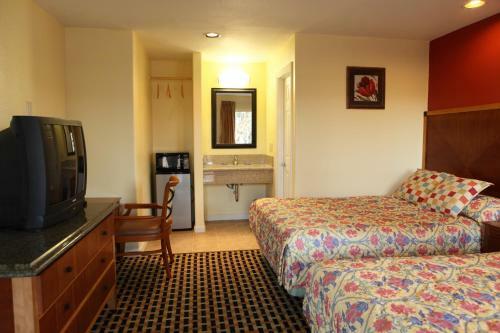 Free breakfast with waffles an outdoor pool and a free airport shuttle make it easy to crash at the pet-friendly La Quinta Inn Oakland Airport close to Oakland Coliseum. This three-story hotel offers 148 rooms with triple-sheeted bedding cable TV coffeemakers hairdryers and irons with ironing boards. Make your own hot waffles for breakfast before catching a free airport shuttle. In warm weather soak in the sun by the outdoor pool. A fitness room and a business center are available and there's free high-speed internet access in the lobby. Pets are welcome for a fee. 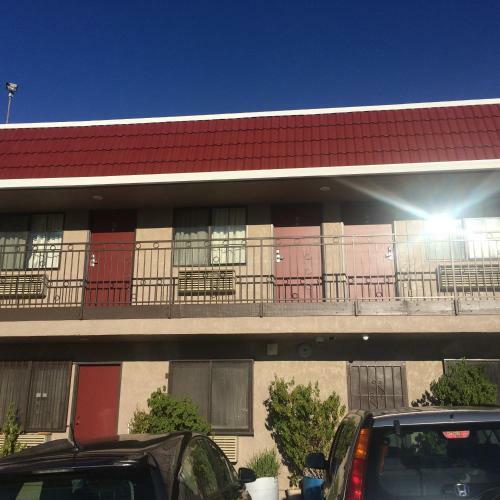 Off Highway 880 this hotel is less than a mile away from Oracle Arena and Oakland Coliseum. Oakland International Airport is about two miles away. Several family and fast-food restaurants are within a two-mile radius and there's a convenient BART station a mile from the hotel. Catch up on last-minute shopping at Marina Outlets two miles away or explore downtown Oakland or Jack London Square about seven miles northwest.